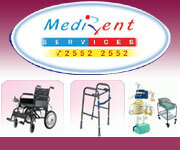 20% Discount on consultancy & medicine for senior citizens round the year. 50% Discount on consultancy & medicine for "Doctors in citi" online patients at first visit. B.H.M.S, NHMC (DLI) Silver Medalist. Specialist in Female Diseases Homeopathic Doctor in Krishna Nagar, East Delhi.